This single family home is located at 280 Bleakley Avenue and is available for sale. Applications to purchase this home are now available. This single family home is approximately 1,641 square feet, sits on a .23 acre lot and includes 4 bedrooms, 2 baths, deck, pond views and a detached one car garage. The Village of Buchanan is situated in the northwestern corner of Westchester County on the eastern bank of the Hudson River. Located within the Town of Cortlandt, the village covers 1.4 square miles. Approximately 20 miles from White Plains, Buchanan is accessible via Routes 9 and 9A, and via Amtrak and Metro north railroads. The Town of Cortlandt is bounded on the north by Putnam County, on the west by the Hudson River and City of Peekskill, on the east by Yorktown, and south by Towns of Ossining and New Castle. Students residing at 280 Bleakley Avenue will attend Hendrick Hudson Schools. Its features include a comprehensive technology plan, a full day kindergarten program, enrichment programs, and full special education services. It also offers a comprehensive program of honors and A.P. courses in a full Regents program with special education services and technical training through BOCES. 280 Bleakley Avenue is approximately 1.3 miles from the Peekskill Metro-North Railroad station on the Hudson Line and 2.6 miles from the Cortlandt Metro-North Railroad which is also on the Hudson line. Rail travel time to New York City is approximately one hour. 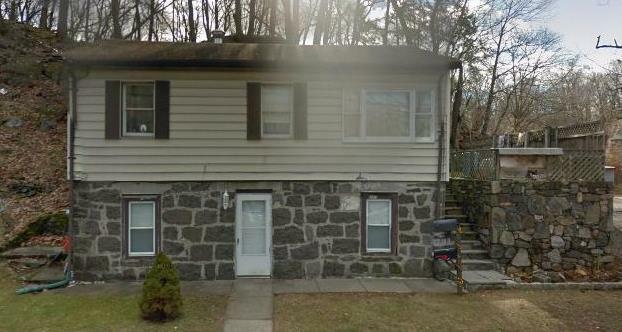 This property is also served by the Westchester County Bee Line Bus Route #14 between Peekskill and Ossining with stops on Broadway at Bleakley St and Westchester Avenue at 1st Street. The Village’s Recreation Department offers golf and tennis classes and a day camp. Lent’s Cove Park is a riverside park offering nature trails for hikers and is part of the Hudson River Valley Greenway Trail System. The Town maintains several parks with soccer and softball fields, playgrounds, tennis and basketball and a swimming pool. The Town sponsors movies and summer concerts and residents can attend various activities and programs at the Cortlandt Youth and Recreation Center. Georges Island County Park, a 208-acre riverside park for sailing, fishing, baseball and trails linked to the Greenway, is within 2.8 miles of the property. Bear Mountain State Park can be readily accessed. The largest employer in the Town is the Cortlandt Town Center – a large retail center on Route 6 which is about 5 miles from the property. Other major employers include New York Presbyterian Hudson Valley Hospital Center and FDR Veterans Administration Hospital. In addition to the Town Center, there are shopping opportunities along the Route 9A Corridor and the Village Circle.